Are Online Psychology Doctorate Degrees Accredited? An online psychology program comes with several advantages over traditional campus-based institutions. Many students find it difficult to hold a job while studying on campus, resulting in low-paying shift work or night classes. Online students, on the other hand, can work a regular office job if they wish, then complete their coursework at night and on the weekends. Campus students also have a variety of expenses associated with studying at a brick and mortar school, such as transportation and parking, housing, student fees, and meals. Those studying online don’t take on any additional costs beyond the price of tuition and books. Online degrees are unrivaled in schedule flexibility, which is especially important to students who work full-time and/or have children at home. Typically, online programs are for bachelor degrees. Some schools offer master degrees, and some even offer doctoral degrees entirely online. More and more schools are turning to online curriculums to support student needs, but not all schools have the accreditation and reputation that you want to reflect your hard work. If you go through the hard work of obtaining a PhD, you want it to actually mean something and show that it came from a respectable source. As a result, the most important part of your journey while researching psychology schools is to make sure a school is as fully accredited as it claims to be. After earning your master’s degree in psychology you become eligible for an online doctoral degree. At this point, you have to select a specialization. When you’ve chosen the accredited school you prefer, make sure they offer the specialty you want to study, such as research psychology, forensic psychology, school psychology, clinical psychology or sports psychology. With this prep work out of the way, you can finally begin to study to enter your new career in psychology. But wait, there’s one more thing you must decide: do you want to obtain a PsyD or PhD? A professional with a PsyD commonly works in research departments, government agencies, academia, clinics, and other healthcare settings to help treat those suffering from psychological ailments. Meanwhile, professionals with a PhD might work in any of these settings or as clinical psychologists. 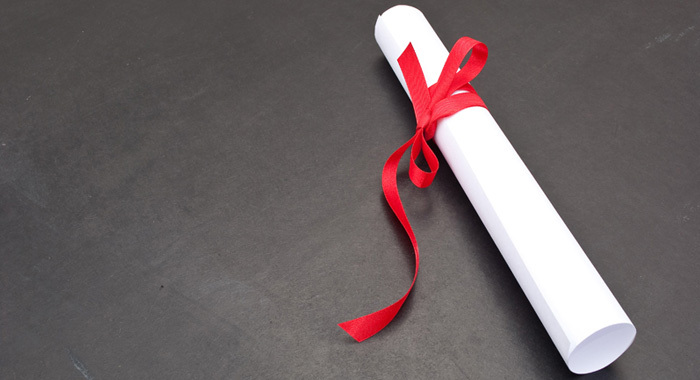 Getting access to an accredited degree is not as tough as it may seem. It is not necessary to have prior education specifically in the field of psychology, though that certainly helps in getting your application approved. What matters most is that you have at least a bachelor’s degree in a related field like social work or philosophy. Online doctoral degree programs will supplement what you already know through scholarly research in social psychology, applied psychology, clinical psychology, educational psychology, or general psychology. What are the prospects of psychology doctoral degree? Psychology doctoral degrees prepare students for work as licensed psychologists by engaging them in such topics as cognitive behavior and neuroscience, perception, attention, memory, categorization, language, emotion, development, and motor control. On average, a doctoral degree takes six years to complete. To earn a PsyD, you must be familiar with behavioral psychology and methodology in clinical psychology. A number of programs may require supervised work in clinical settings. You will also be responsible for writing a professional dissertation, which usually incorporates clinical work and experiences. Once your coursework has been completed and your dissertation approved, you will graduate, attain licensure, and finally enter the profession as a certified PhD.